Rhiannon is a Depth Hypnosis Practitioner, Shamanic Healer, and Reiki Master. She was already an experienced energy worker before her path led her to Depth Hypnosis and Isa Gucciardi’s teachings. Upon experiencing the transformative power of the Depth Hypnosis model, she immediately knew that it was aligned with her soul’s work, and that it was what she had been seeking in order to synthesize all of her healing techniques into one powerful offering. Aside from Rhiannon’s extensive formal studies at The Foundation of the Sacred Stream, The Four Winds Society, and The Reiki Living Center, her deepest wisdom regarding healing has been gathered from healing her own trauma. Her experiences with childhood abuse, sexual trauma, addiction, and navigating a dark night of the soul and spiritual transformation, have greatly informed her medicine offerings. Transforming her own life from darkness, to abundant happiness and health, has gifted her with profound insight and knowledge into how to offer the best support, healing, and guidance to her clients as they navigate their own unique paths of integration and expansion. Rhiannon feels that it is a great honor to walk the path of service and to be a channel for spirit. It is her greatest joy to witness her clients, and their relationships, grow and transform in positive ways as they shed patterns and limitations that no longer serve them, and to witness the beautiful shifts that occur when we open to receive ever more personal power, wholeness, abundance, health and harmony in our lives. 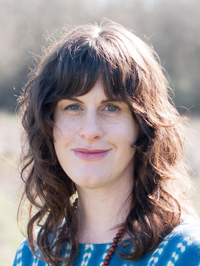 Rhiannon currently practices in Berkeley, CA, and also works with distance clients via Skype, or telephone.